The Concept Pedestal from the Concept collection by Vox has specially selected finishes tailored to complement a contemporary environment. 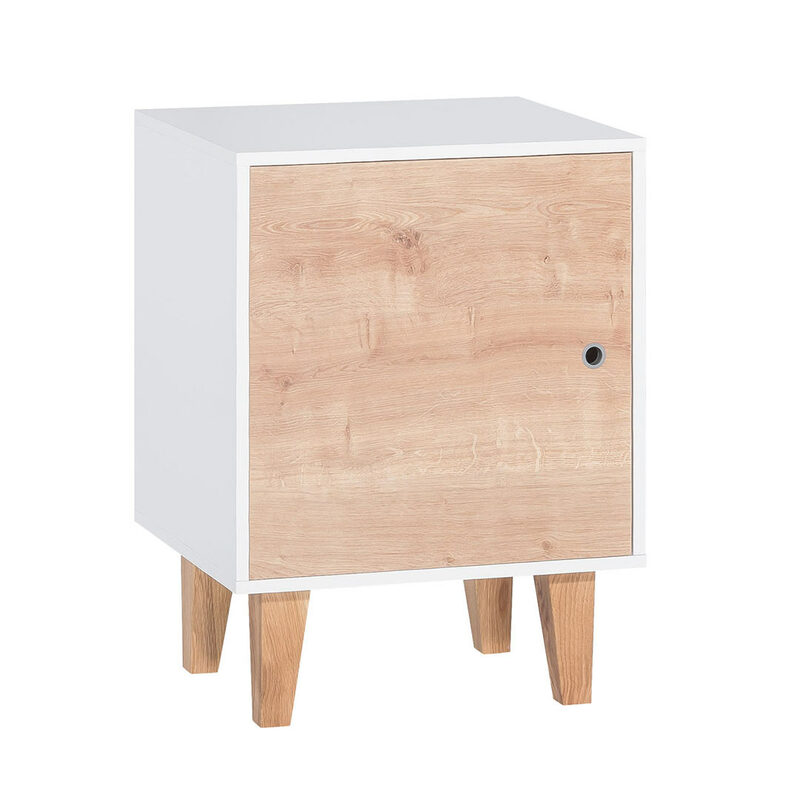 Perfect for teenagers and kids rooms, this Concept Pedestal features durable materials and sturdy construction. 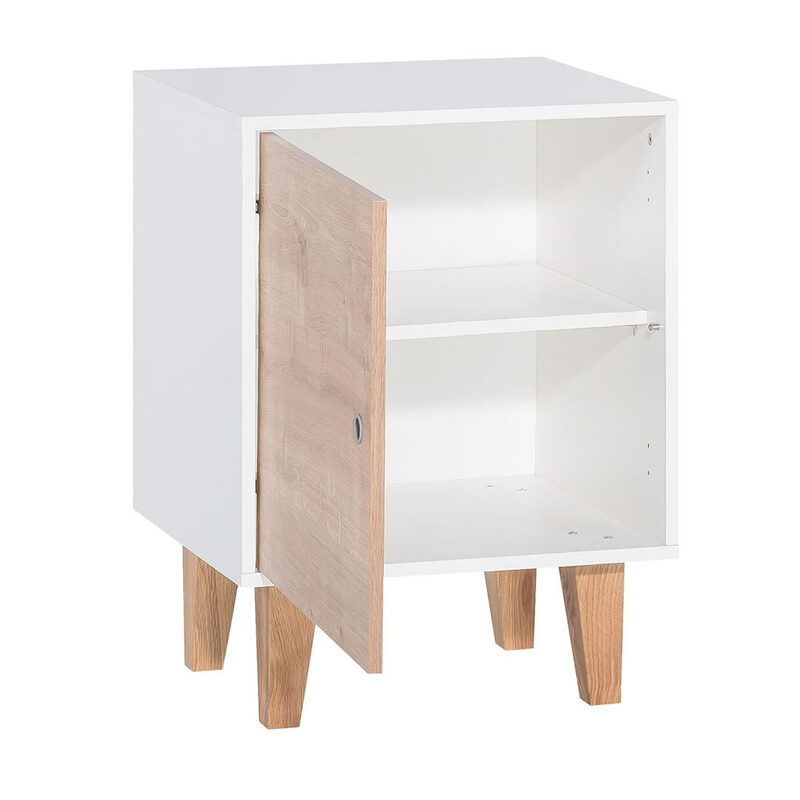 The white frame contains an open shelf and one cabinet leading to two more spacious shelves. The oak legs lifted above the ground allows easy cleaning underneath, while the surfaces of laminated wood are resistant to damage and damp and also easy to clean.